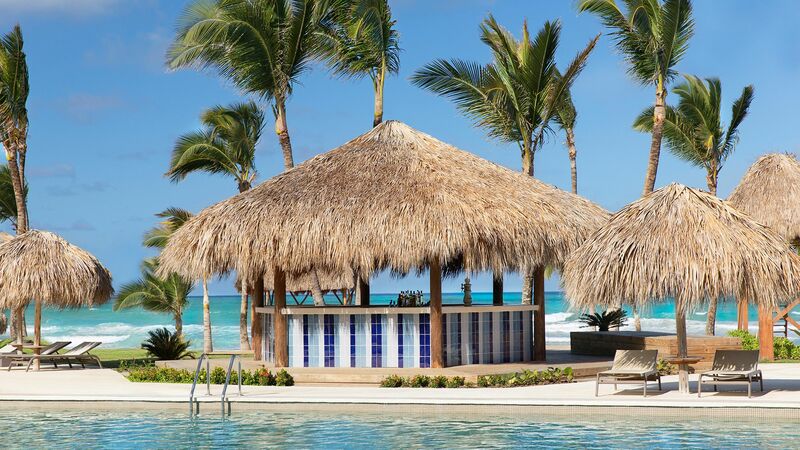 The Excellence Punta Cana is a tropical hideaway set on a private beach in Uvero Alto. If you are after peace and rejuvenation then this is perfect place to be. Explore the area with a safari or a four wheeled truck ride through the tropical jungles and fields or head to the unpopulated nature reserve called Isla Catalina, which was named by Christopher Columbus. Spend your days at the hotel relaxing in exquisite surroundings, as you enjoy the two storey spa, or keep fit in the fully equipped onsite gym. There is a huge range of gourmet restaurants and facilities where you can relax, rejuvenate your senses, and immerse yourself in the flavours and culture of the island. There is a selection of swimming pools where you can spend days soaking up the sun, as well as beach chic rooms and impressive scenery to be enjoyed. This is the perfect place for a romantic couples’ holiday. The hotel has an impressive all inclusive package. There are some fantastic options for all inclusive dining, including succulent local treats like lobster, as well as premium, international alcohol brands. A full breakfast, lunch, dinner, and snacks are also included and there are unlimited juices, soft drinks, and alcoholic drinks. There is 24-hour room service and a fully stocked minibar, which is replenished daily. There is also lively evening entertainment and daily activities, including 30 minutes complimentary horse riding per person, per stay. There are 464 rooms. This is an adults-only hotel. Try the very finest Mexican food in a hacienda-style courtyard, with indoor and outdoor seating and an à la carte menu. This restaurant is included for all inclusive guests. The dress code is Casual Elegance. Try delicious paella, tapas, beef, veal and seafood at this à la carte restaurant. The taste of Spain and the Mediterranean will delight. A wonderful French restaurant set in a peaceful and romantic courtyard. This is the perfect place to spend an evening together. A beautiful à la carte menu for lunch, full of delicious burgers, wraps, salads and sandwiches. Go al fresco in the evening and enjoy a dinner of chicken, shrimp and steak. Open: 12:00 - 18:00 and 18:30 - 23:00. 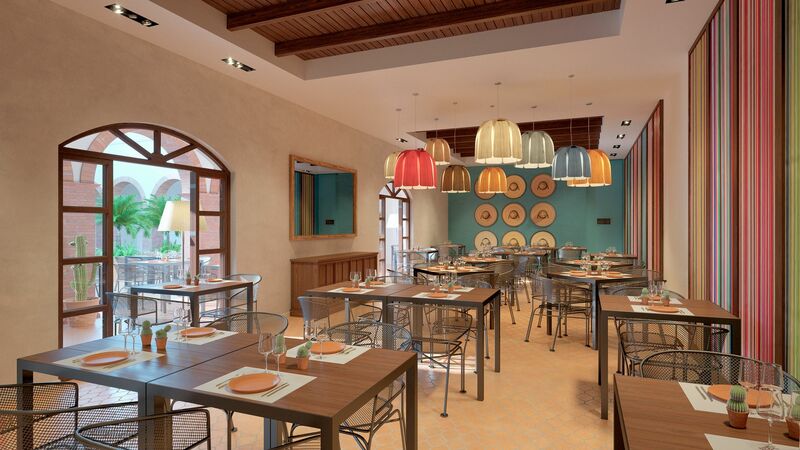 The hotel’s traditional trattoria style restaurant serves up a delightful range of traditional pizzas, pastas and calzones. 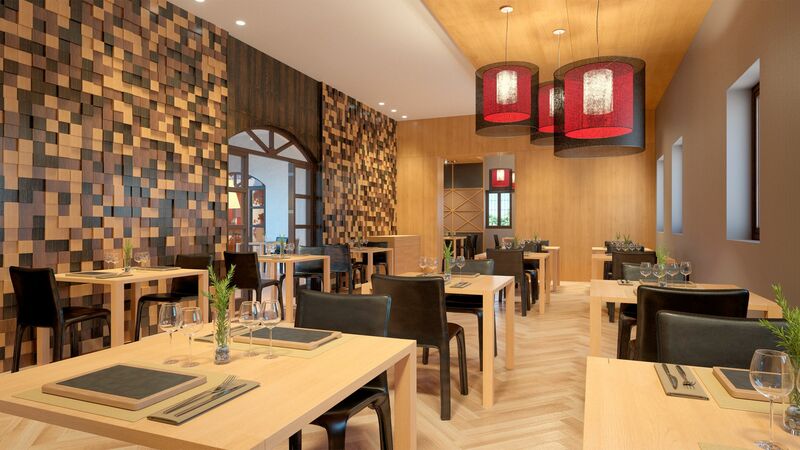 This Asian restaurant offers an à la carte menu full of exotic specialities from Japan, China, Vietnam and Thailand. 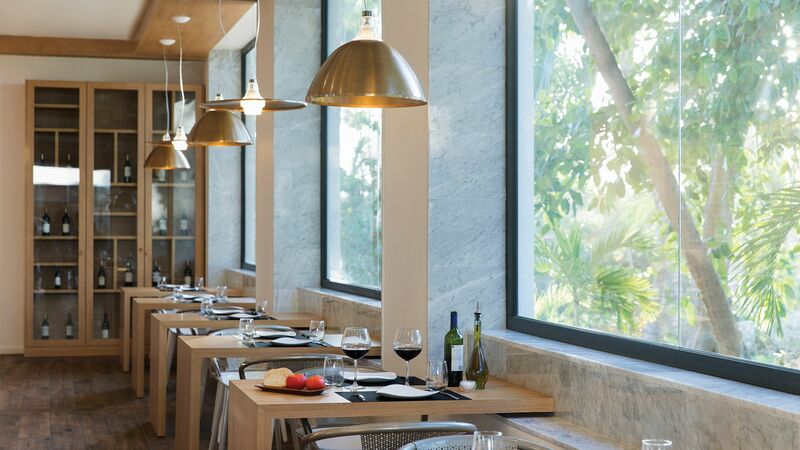 This open air restaurant offers serene garden views and an à la carte menu serving continental breakfast. Incredible shellfish dishes are also served in the evening, and include rich lobster. Open: 08:00 - 12:00 and 18:30 - 23:00. 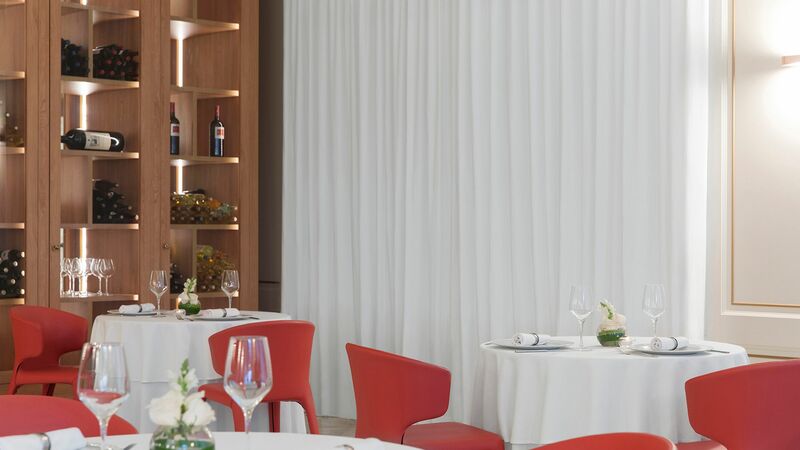 An amazing Italian restaurant with an à la carte menu offered for breakfast, lunch and dinner. There are fantastic seafood, meat and pasta options in the evening. Open: 07:00 - 11:00, 12:00- 16:00 and 18:00 - 22:30. Enjoy a range of drinks, including exotic cocktails, cool beers and fine wines, right beside the pretty main pool and sun terrace. This fantastic bar serves a variety of drinks combined with lively music and entertainment to enjoy. The hotel’s pool bar serves soft drinks, beers, juices and cocktails all day, perfect for a refreshing snack after soaking up the sun. Enjoy a range of delightful drinks as you take in views of the pool, including juice, beer, soft drinks and cocktails. A peaceful bar located in the central building near the lobby. Relax and unwind with a drink or two in the evening, and enjoy tea and coffee throughout the day. There are a range of games including billiards, table tennis, table football and pool. Enjoy a drink while you play. Enjoy the wonderful atmosphere inside the grand theatre. Here you can enjoy a cocktail while watching theatre performances. Chill out in style as you watch the waves lap the white sands of the beach. Enjoy a drink on the deck as you take in the views. 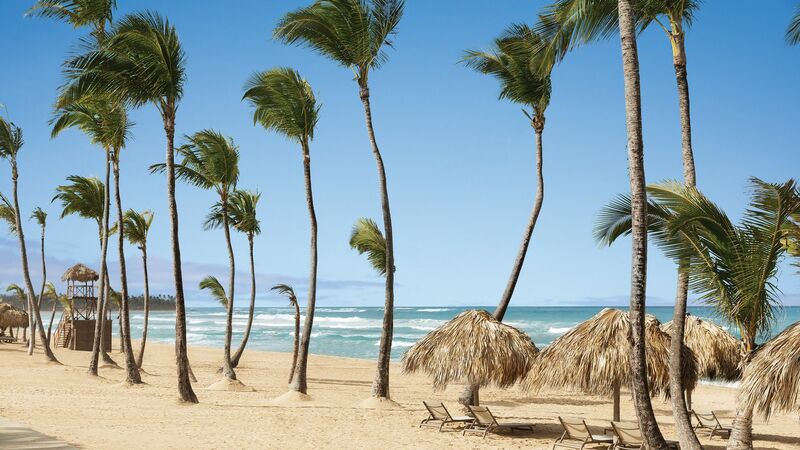 Excellence Punta Cana is located on the pristine white sands of the Coconut Coastline, giving you direct access to crystal clear waters and sun loungers. A range of water sports is also offered. Enjoy the hotel’s pools with luxurious sun beds, parasols and towels. There are also plenty of bars on hand. Miilé Spa offers an incredible range of treatments which will leave your whole body feeling relaxed. 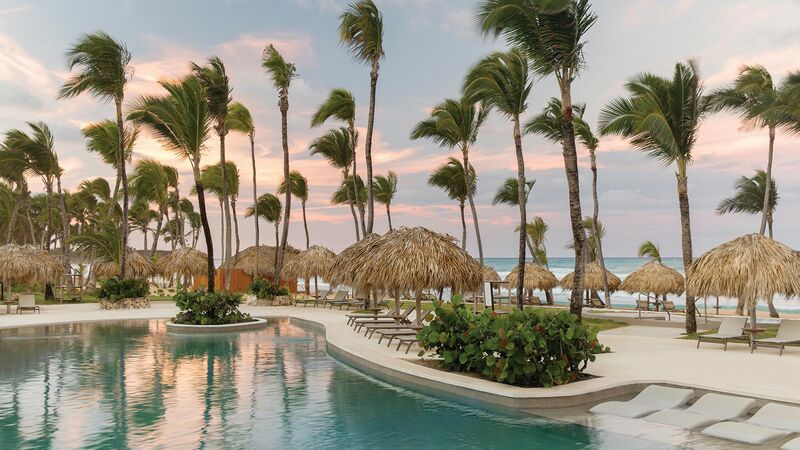 This includes the Punta Cana Romance Ritual treatments, which are perfect for couples. The ultra modern gym is equipped with the latest cardio and strength training machines. Yoga and vinyasa sessions are also available. Yoga is for over 18s only. Enjoy endless nights of entertainment with live music performed every single night of the week. Caribbean themed nights are also held every Monday and allow you to immerse yourself in the wonderful culture of the island. The managers hold a cocktail party for guests once per week. Get to know some new people as you enjoy a delicious selection of drinks. Punta Cana is the perfect destination for those who want to experience world-class golf facilities. The course has been designed by expert architects and is surrounded by beautiful scenery. 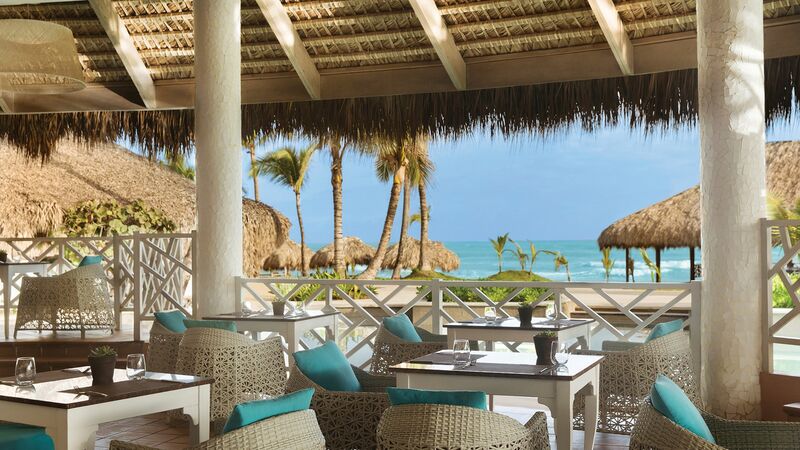 Excellence Punta Cana is in Uvero Alto, which is perfect for a romantic getaway. Its peaceful and tranquil atmosphere will inspire you, with white sands and crystal clear waters which can be explored by boat, kayak and more. Those wanting to stick to dry land can try some of the golf courses available in the local area, or explore the area with a safari or a four wheeled truck ride through the tropical jungles and fields. Take a trip to the unpopulated nature reserve, Isla Catalina, which was named by Christopher Columbus. There is so much to explore in the Dominican Republic, including the historic Ponce de Leon House, the palace of the explorer of the fountain of youth. Head underground to see the huge network of caves including El Pomier, the Caribbean’s longest underground cave or simply take a long walk along the secluded Macao Beach where the sunrise views are beyond spectacular. 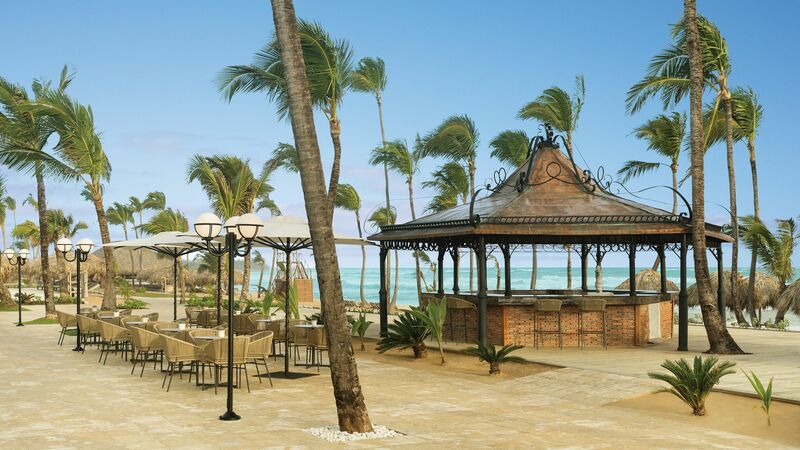 Excellence Punta Cana is 35 minutes from Punta Cana International Airport. Junior Suites Garden View have a king size bed, CD/DVD player, telephone, whirlpool bathtub and shower. Rooms feature a private furnished balcony or terrace with views of the gardens. Junior Swim Up Suites have a king size bed and offer direct access to the pool from the fully-furnished terrace complete with hammock. Suites feature an equipped bathroom with shower and whirlpool bath as well as VIP amenities. These Junior Suites feature a private furnished terrace with comfortable furniture and a plunge pool. Junior Suites Ocean View have a king size bed, CD/DVD player, telephone, whirlpool bathtub and shower. Rooms feature a private furnished balcony or terrace with views of the ocean. These suites offer stunning ocean views from the balcony, as well as a fully equipped bathroom. Offering an extensive private terrace furnished with comfortable lounge furniture with an exterior plunge pool. Excellence Club Junior Suite Garden View have a king size bed, whirlpool bathtub and shower. Rooms feature a private furnished balcony or terrace with views of the gardens. Added benefits include private check-in, access to the private lounge and concierge, access to a private beach, daily fruit basket and newspaper, a beach bag for use during your stay, superior toiletries, upgraded minibar, iPod docking station in the room and fresh flowers on arrival. Master Suites are more spacious and include views over the pool from the furnished patio or balcony. Suites have a separate living area as well as a bathroom with shower and whirlpool bath. Other amenities include full stocked minibar, flat screen TV, bathrobe and slippers. Excellence Club Junior Swim Up Suites offer direct access to the pool from the fully-furnished terrace complete with hammock. Suites feature equipped bathroom with shower and whirlpool bath. Added benefits include private check-in, access to the private lounge and concierge, access to a private beach, daily fruit basket and newspaper, a beach bag for use during your stay, superior toiletries, upgraded minibar, iPod docking station in the room and fresh flowers on arrival. Excellence Club Junior Suites Ocean View have a king size bed, CD/DVD player, telephone, whirlpool bathtub and shower. 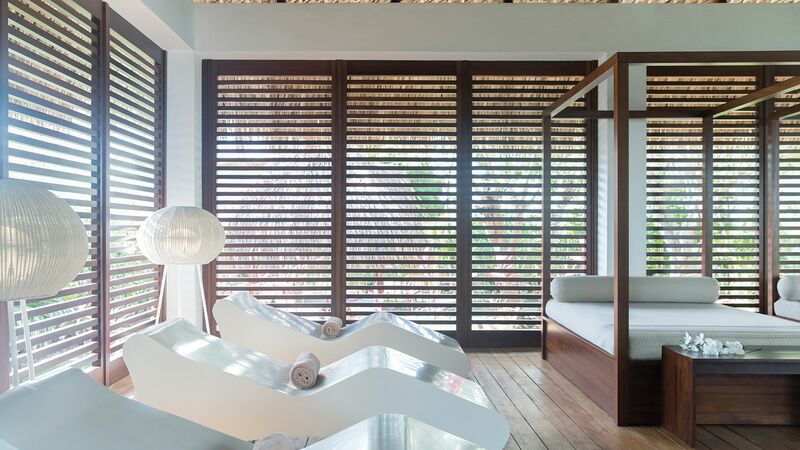 Rooms feature a private furnished balcony or terrace with views of the ocean. Added benefits include private check-in, access to the private lounge and concierge, access to a private beach, daily fruit basket and newspaper, a beach bag for use during your stay, superior toiletries, upgraded minibar, iPod docking station in the room and fresh flowers on arrival. These spacious Junior Suites feature a private pool. Featuring an expansive furnished terrace with views of the ocean and a plunge pool. Excellence Club Excellence Suites have a king size bed and a fully furnished balcony with stunning views. It also boasts a private pool. The suite's bathroom features a shower and whirlpool bath. Added benefits include private check-in, access to the private lounge and concierge, access to a private beach, daily fruit basket and newspaper, a beach bag for use during your stay, superior toiletries, upgraded minibar, iPod docking station in the room and fresh flowers on arrival. Excellence Club Honeymoon Suites Ocean View are located on the VIP floor and have a large private terrace with an outdoor Jacuzzi® with views of the Caribbean. The suite's bathroom features a shower and whirlpool bath. Added benefits include private check-in, access to the private lounge and concierge, access to a private beach, daily fruit basket and newspaper, a beach bag for use during your stay, superior toiletries, upgraded minibar, iPod docking station in the room and fresh flowers on arrival. This Honeymoon Suites offers a rooftop terrace with ocean front views, a separate living room, walk-in wardrobe, in-room whirlpool and a furnished balcony. The rooftop terrace has comfortable lounge furniture and a plunge pool. Imperial Suites have a king size bed, separate kitchen, living and dining room. Suites feature a furnished balcony boasting a private outdoor Jacuzzi® for two and views of the Caribbean Sea. The bathroom has a spa jet shower and double vanities. Other amenities include upgraded minibar, daily fruit in the room, in room check-in & check-out, private romantic dinner in the suite or beach, one special Jacuzzi® decoration per stay and unlimited access to Aqua wellness spa. We arrive at their door and was greeted by Carlos P. with a fresh cool towel and champagne. The staff makes this place Excelente!!. They are the most gracious, kind hosts. From the front desk-shout out to Bartdo V, Hector and Milvio-to the Entertainment, Cassandra was an amazing host, Espaghetti has great energy and taught me how to say things in Spanish and his brother Mickey Mouses has great dance moves and Sweet brownie's smile is so welcoming. They had yoga and polities daily and often by the beach. Trainers-Angel, Miguel and Lisa were very professional, knowledgeable, kind and genuine nature. I was impressed by the service of the wait staff. I recall one women who waited at the Oregano and Kitchen Table always had a smile on her face. They all work long days. The Kitchen Table offered any kind of food desirable it was impressive, delicious.. The staff there were great- I Love the women who help me with the different juices and another guided me to the Dominican food-Wonderful stew. I can't forget the staff outside that help supply the drinks-Elizabeth was great!! The rooms and grounds impeccable Last the views- The beach was so clean-the whole property they have staff always keeping it up. Even though this is a large campus -I love the fact if you want to be in a quieter setting its possible or be around people you can-The shows are great and the walks on the beach are unforgettable with the Caribbean ocean as the background. Would love to come back again! The entertainment team are very good especially Nicki Minaj, Yamirsy, Jose and Coca Cola, they make the hotel very fun and get the whole family involved. The whole hotel is very pretty and well looked after. All the staff are friendly and approachable. It was incredible! Loved coming there for our honeymoon! My husband and I plan to come back and visit. We also are very excited to tell our family members about this resort. We can?? ?t wait to visit again! “ Excellence No! Excellence Resort? An embarrassment! First of all I am shocked by all the wonderful reviews! I read them before we booked but knew being in the Excellence family it would be amazing! And it was but not in a good way. There were a few nice memories and helpful ? ?people like Eddison at Reception, Salomon, Franklyn and Jensen who served us primarily in Chez Isabelle and made our experience luxurious for the only time in 10 days, and Jordy and Juan(such a hard worker, I hope he is a Manager) who worked Pool Service. We are not picky people but after being spoiled at both the Excellence in Riviera Cancun and Playa Mujeres we felt short changed at Punta Cana. For the most part the food was unspectacular; best were the desserts. The food at the Dominican Dinner (waited on line over 40 minutes) and the White Party was salty or just bland. Agave, Mexican,was great we went 2 times, French very good-3 times. Oregano for lunch also good for pasta and pizza but the turkey sandwich was cubed turkey that tastes like tuna fish. I got sick after eating at Spice and my lobster (surf and turf) at the Lobster House tasted like ammonia so I had to gracefully remove it from my mouth. Las Olas on the beach was poorly staffed and when I requested more ketchup packages I was told to check the other tables. But of course I had already done that! I don't expect to be totally catered to, but I was on vacation! I had an issue with the room sink so the handyman showed up with no tools. I now know how to fix the sink there because I needed to do it often because the mechanism holding up the stopped would not stay up. Eddison in Reception was so nice to put us in Building 6 because my honey had a cerebral abscess and the surgery effected his right leg. Eddison mentioned it was on the first floor but there was an elevator. Guess what broke down for 4 to 5 days? Then we had the Room Service nightmare from hell! Too much to explain but I was afraid to order Room Service anymore. The entertainment was fine and the day and evening staff worked hard to involve everyone. They didn't always stick to the planned activities listed in the newsletter though. That was the least of the problems at this resort!) This was not an enjoyable vacation as I told everyone back at work. I am so glad one of my co-workers is going to Riviera Cancun in 2 weeks and not here! I do not feel like I could honestly recommend this resort and not even the Dominican Republic as it has left such a bad taste.